Contact Us... EDITOR Jordan Philp, Phone: 07 4120 1017 Email: editorial@suratbasin.com.au ADVERTISING Greg Latta, Stephanie Stonehouse and Jessica Townsend Western Star Phone 07 4672 9927 Email greg.latta@westernstarnews.com GENERAL MANAGER Erika Brayshaw Email: Erika.brayshaw@apn.com.au All material published in Grazier and Farmer is subject to copyright provisions. No part of this publication may be reproduced without prior written permission for the publisher. DISCLAIMER: The information contained within Grazier and Farmer is given in good faith and obtained from sources believed to be accurate. The views expressed are not necessarily those of the publisher. The Western Star will not be liable for any opinion or advice contained herein. Johnny’s Place: A memorial to remember two Mitchell icons Mitchell hasn’t felt the same since iconic duo Johnny Murray and his horse Minnie stopped walking the town’s streets. James Liveris IN MEMORY of Johnny, who died late last year, the Booringa Action Group plans to build a memorial so the legend and his horse will always have a place in Mitchell hearts. After an overwhelming amount of community support a GoFundMe page was created to raise money for a statue of the duo that will be placed in a public space named Johnny’s Place. Booringa Action Group said on the GoFundMe page that they shared this sentiment and had been working with members of the community to make the dream a reality. “We have now reached the point with the co-operation and support of the Mitchell Bakery and FoodWorks Mitchell where the vision can begin to become a reality,” the group said. “The area between the Mitchell Bakery and FoodWorks will be opened as public space and named Johnny’s Place, with the rear wall incorporating a cut-metal silhouette of Johnny leading Minnie. “This area was chosen as it was one of Johnny and Minnie’s favourite places to visit daily.” Booringa Action Group needs to raise $5000 in donations to make the memorial possible. that their product and impact were closely related to people a long, long way from them. “Food is a very intrinsic personal attachment,” Mr McConnel said. “It’s why so often there are beliefs attached to food. “Here in rural Queensland, as in rural areas everywhere, we have a physiological identification with meat production. A simple fence has been proven to make a marked difference for producers in the west and it is something that wool producer, agent and AgForce southern inland Queensland president Bruce McLeish has seen first-hand. “I’ve worked with Elders on their wool side and we had numerous clients in Western Queensland who have had exclusion fences up for several years and their return has gone up from 20 per cent to 80 per cent, even in the dry conditions,” he said. There is still a lot of fencing to do, so that is where we need to put the pressure on the state and federal governments to keep funding them. WILD DOG PROTECTION: $6 million of the funding from Round 3 of QFPI has been allocated for cluster fencing. Offer available for eligible Primary Producers only. Vehicle price listed offered until June 30 2019. Metallic Paint additional charge. NOT WORRIED: All of the information that Aussie Farms has pulled together is already publicly available, Beef Australia chairman Bryce Camm says. The best way to get answers is pick up the phone and ask a primary producer yourself rather than relying on the Aussie Farms map published online in January. Did you know, freight booked with us will be delivered to Roma and Charleville the next morning? Not just that, we deliver to Roma 6 days a week and to Charleville 5 days a week. Our Charleville service is timed to meet connections to Quilpie, Cunnamulla, Augathella, Tambo and Blackall. Visit our website www.maneytransport.com.au. It’s the easy way to organise a quote, make a booking, and get an extensive overview of the services we offer. YES! YOU CAN BUY LOCAL! Bulls bring in the bucks Couple’s move into the rodeo industry pays off Shannon Hardy RODEO bulls may not be everyone’s idea of a family pet but for Peter and Jaz Wallace the big bovines are a huge part of their lives. Peter Wallace has been involved in the industry his whole life. “My father used to have stock when I was a young fella, I rode bulls for 20-odd years and had a pretty keen interest in them,” Mr Wallace said. With a few practice bulls at home and some stock they picked up from saleyards Peter and Jaz got into the business themselves. “Probably about eight years ago we decided to get pretty serious about it.” After a good yarn between the husband and wife team they decided if they were going to get into rodeo bull breeding they were going to do it right. Their bulls have been that good for so long over there and their lines and their genetics have been strong for a lot of years. FAMILY BUSINESS: Pete and Jazz Wallace, from Wallace Bucking Bulls. ~Manufacturer’s recommended campaign driveaway price for new MY19 Amarok Core 4x4 Auto Dual Cab in white. #Free auto valued at $3,000(RRP), available at no additional cost on new MY19 Amarok Core 4x4 Auto Dual Cab models. ^Manufacturer’s recommended campaign driveaway price for new MY19 Amarok V6 Core 4x4 Dual Cab TDI550 8 Speed Auto in white. ~#^Vehicles must be sold and delivered by 31/03/2019. Excludes Government, fleet and rental buyers. Not available in conjunction with any other offers. Options may be available for an additional cost. While stocks last. Volkswagen Group Australia reserves the right to extend, withdraw or change all offers. *5 Year Warranty available at no additional cost on new Model Year 2018 and 2019 stock vehicles sold and delivered by 31/03/2019. Conditions and exclusions apply, see www.volkswagen.com.au/en/owners/warranty.html. Warranty on demonstrator vehicles only applies for the balance of the 5 year term. Your rights under this warranty are provided in addition to, and in some cases overlap with, consumer guarantees under Australian Consumer Law and do not limit or replace them. The 2019 Burrumbuttock hay run to Quilpie. Overall I was very overwhelmed; the Quilpie community and the surrounding areas were bending over backwards – whatever we wanted they were there for us, even when the mercury hit 51 on Australia Day. Bryce Dooley learning the trade. businesses around town; everything is sourced locally,” Ms Johnson e said. The new opening hasn’t gone unnoticed by Charleville locals, but Ms Johnson said the airport cafe is good news for those who have travelled even further to the airport. “A lot of locals already know that it is now open, but quite often we get people from Quilpie, Cunnamulla and those surrounding towns who are flying out of here as well. “It is great for them, because otherwise they come to town and then just sit at the airport for up to an hour before their flight leaves. “Now they can actually get a coffee, a sandwich, or whatever they like before they fly,” she said. The girls up there are making beautiful coffees and are supplied by other local businesses around town; everything is sourced locally. BUSY: Cafe in the Mulga. Paroo Shire sports facilities and roads receive $1m of Federal Govt funding Maranoa MP David Littleproud has secured $1 million worth of funding for projects in the Paroo Shire through the Drought Communities Programme – Federal Government funding specifically designated to support communities in the most drought-affected regions of Australia. 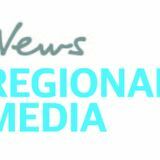 “The Cunnamulla region is facing ongoing drought and this Federal Government funding is designed to provide communities with cash for shovel-ready projects to help stimulate the local economy,” Mr Littleproud said. Under the funding, the Jobs Gate, Bundaleer and Munda Munda unsealed roads will be returned to a usable standard and the work will be carried out by local contractors. 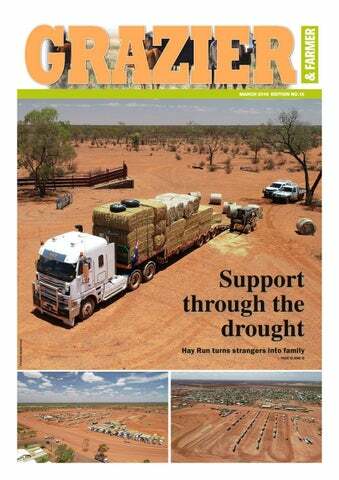 “One of the great things about the Drought Communities Programme is that funds are driven down into local groups who have a say in which local is contracted to make the upgrades,” Mr Littleproud said. CHANGE: The cattle industry is not at risk, it’s just operating a little differently. Feedlots helping the changing cattle industry Entry weights lowered to take pressure off rain-starved paddocks earlier to get the pressure off the paddocks and keep supply up,” Mr Kelly said. Without feedlots doing their part we would be in a cattle slump without the supply chain to the meatworks and the markets would be feeling the strain. Mr Kelly said feedlots provided a market for producers and processors. LIVESTOCK agent Brendon Kelly hasn’t done a grazier to grazier transaction in over six months. While this may have been a cause for concern, the existence of the feedlot industry means that the cattle industry is not at risk, it’s just operating a little differently. choice. Tile flooring is available in a range of colours and styles so it is easy to find something that suits your vision. Ceramic tiles are particularly durable in high traffic areas which makes them great for busy family kitchens or if you like to wear your muddy boots around the house. The one downside to ceramic tiles is that they are often on the higher end of the price range. kitchen, cork reduces impact and noise. Maybe one of the best things about cork is that it is environmentally friendly. This is because a tree does not need to be cut down to create cork. If you spend a lot of time standing up in the kitchen, cork is a great flooring option as it offers cushion underfoot after a long day at work. caused by changes in humidity and temperature. Timber is susceptible to water damage so be sure to keep your kitchen floor as dry as possible. If you love the look of wood but new timber floors are not within your budget, you’re in luck. Vinyl floors now come in a range of colours and styles that look and even feel like real timber floors. Vinyl is also durable and easy to clean, making it perfect for family kitchens. Vinyl also works well in hot and humid environments, as opposed to genuine wood. cut down without causing too much of a negative impact on the environment. SEARCHING FOR KITCHEN FLOORING IDEAS? If you’re not sure which kitchen flooring is right for your home, visit an Andersen’s showroom and speak to one of our flooring experts or call Andersens Roma today. ONE thing that should be considered before anything else when it comes to renovating your kitchen is the flooring. Flooring can make or break how your kitchen functions and there are a number of things that need to be taken into consideration before you choose the flooring that will work best for your home. This article will take you through the pros and cons of some popular kitchen flooring options. AERIAL VIEW: Cubbie Station and its water storage dams after approval of the Chinese purchase of the property west of Dirranbandi in Queensland. down its stake to 51 per cent within three years of purchasing the Queensland cotton property for $240 million in 2012, under conditions imposed by then Labor treasurer Wayne Swan. But in 2016, then-treasurer Scott Morrison extended the deadline by three years. The Weekly Times understands the new deadline is July 1 this year but has been unable to obtain the date from the Federal Government. Treasurer Josh Frydenberg has refused to say whether the Coalition would hold Ruyi Shandong to the original condition of sale. Australian Securities and Investments Commission records show Ruyi Shandong still owns 80 per cent of Cubbie through Singapore company CSTTCO Holdings. Australian agribusinessman Roger Fletcher holds the remaining 20 per cent stake. insurance fee not included in the above entry fees. since started on a third custom product to ensure their stakeholders have access to what they need when they need it. We’re going to be accessible to a lot more global teams so we’re going to be working a lot more remotely. Tested and tried over a Million times. You probably won’t ﬁnd anyone more experienced. build lasting resilience in the face of adversity. A total of 25 community-led programs and events, administered by Darling Downs and West Moreton PHN, will encourage conversation and best practice regarding mental health challenges, suicide prevention and social and emotional wellbeing. PHOTO: ROB WILLIAMS when they need help, Lifeline Darling Downs and South West Queensland will also receive additional funding to upskill locals so that they too can support those affected by mental illness. The program, called Community Connections, will teach locals how to recognise people dealing with mental stress and provide guidance about professional support choices. “During drought we really need to be actively listening and watching what is going on with loved ones, colleagues or friends,” Mr Littleproud said. “When we listen and learn from one another and utilise the services available in these trying times, we are in a better position to sustain ourselves, families, homes and businesses. “Nobody needs to go through drought without a listening ear.” Areas in Maranoa to receive funding include Goondiwindi, Southern Downs, Western Downs, Toowoomba region, South Burnett and South-West Queensland. What can Jeff and his staff solve?? Talk to our friendly staﬀ and ﬁnd out more about what we can provide and what services are on oﬀer. and Financial worries experience of good old fashioned service. Tom Curtainâ&#x20AC;&#x2122;s Speak Up Tour Tom Curtainâ&#x20AC;&#x2122;s Speak Up Tour was held in conjunction with the annual Welcome to Charleville at the Charleville racecourse. Almost 800 people registered, the crowd consisted of families from town and surrounding properties and it was estimated the attendance was far greater. Halle getting her face painted. Council colleagues Teeghan Rogers and Mark Johnstone. Sue Currie and Judy Connolly. Will Everitt and Duncan MacDonald. A Welcome to Charleville stall. Grundfos has been specialising in solar pumping solutions for more than 30 years. We offer submersible, surface mount and ďŹ&#x201A;oating solar pumping solutions for a range of applications in rural or remote areas including stock watering, irrigation and agricultural water supply and transfer.